The Super Bowl is one of the most iconic sporting events in the world and is watched by viewers all across the globe. It’s the game that decides who gets the bragging rights as the best team in the competition during the off-season and the ultimate achievement for any football player. This year in Super Bowl LII we saw the Philadelphia Eagles overcome New England 41-33, winning their first-ever Vince Lombardi trophy is the franchise’s history. Now we have the long wait of the off-season before the competition kicks off again, so why not take a look back at the most memorable games that kept us glued to the screen. Here are the top five greatest Super Bowl moments of all time. In Super Bowl XXXVI, the Patriots and the St. Louis Rams were locked at 17-17 with just seven seconds left on the clock. In came Adam Vinatieri to attempt the 48-yard field goal with the chance to seal the result. He lined it up, the whistle blew, and he sent it straight between the posts as the clock hits zero. New England won their first-ever Super Bowl title and go on to be the most successful team over the next two decades. The Patriots have been the team to beat ever since and will go into the 2018 season as the favourites once again. It was quarterback Ben Roethlisberger’s incredibly accurate pass that stole the show in Super Bowl XLIII. Trailing by three points and with time running out, the Pittsburgh Steelers needed something special. 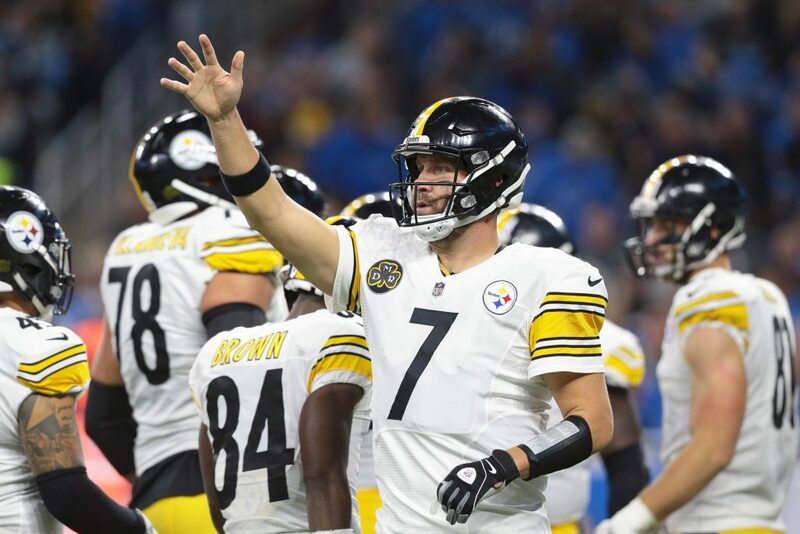 Roethlisberger fired a pass into the end zone, and even though Santonio Holmes was surrounded by opposition players, he somehow managed to catch the ball while making sure both feet touched the ground with just 35 seconds left on the clock. The Steelers went on to win the game 27-23 and a record sixth NFL title. Never was there a better chance for the Buffalo Bills to win their first Lombardi trophy than this. They were down by one point to the New York Giants when Bills’ kicker Scott Norwood attempted a 47-yard field goal. Unfortunately, it just sailed inches to the right of the goalposts with only four seconds left, and the Giants hung on to win the game 20-19. What is so iconic about this kick is that it started a devastating run in which the Bills would lose four consecutive Super Bowls. Today, if a coach saw their quarterback throw into triple coverage, they would most likely turn away in disgust. However, that’s exactly what Giants QB Eli Manning decided to do with just 59 seconds remaining. In what is probably the most famous catch in Super Bowl history, wide receiver David Tyree reached for the ball and pinned it against his helmet as he fell to the ground, securing a 32-yard play. Four plays after that, Manning picked out Plaxico Burress and the player went over for the match-winning touchdown. It was the first time the Patriots had been defeated in the Super Bowl. There are going to be many people who have played or will continue to play that will have much more decorated careers, but by the grace of God — and I say that genuinely — I get a chance to be remembered as a part of the game. For the number one slot in this list, we’re going for the greatest defensive play in Super Bowl history. The Seattle Seahawks had all the momentum and were looking like they were on the verge of finishing off the game. In stepped Patriots’ rookie, Malcolm Butler. In what was an unbelievable read of the play, he intercepted Russell Wilson’s throw right on the goal line with just 20 seconds left to keep New England’s 28-24 lead intact. The play secured Super Bowl XLIX for the Patriots and etched Butler’s name into the history books forever. It’s amazing that one game can continually produce so many magical moments again and again. Now we can only wait and see what incredible moments are in store for us in the future.